As metal detector enthusiasts know, searching for hidden valuables is not just limited to walking the beaches or other areas on land. One of the most amazing places to use a metal detector is underwater where countless treasures lay, awaiting discovery. 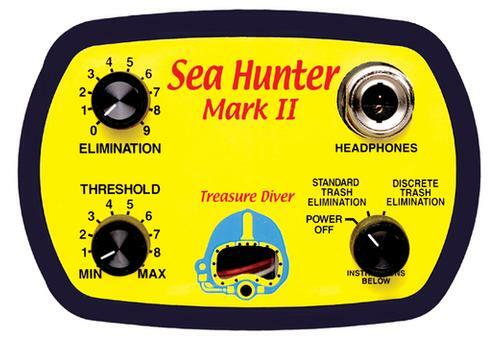 For this reason, let’s take a close look at the Garrett Sea Hunter Mark II metal detector to find out the details of this device. We will look at the features, the quality and the overall user friendliness of this metal detector to find out if the Garrett Sea Hunter Mark II metal detector meets your needs for detecting underwater. Underwater metal detecting is very popular for two main reasons. The first is that many manmade lakes were built over old cities and towns; this offers countless possibilities on what could be discovered there from years or centuries ago. The second being that the oceans cover the majority of the earth, but humans have only taken a good look at less than five percent of the waters. The idea that there are unfound treasures in our oceans is not just a dream. 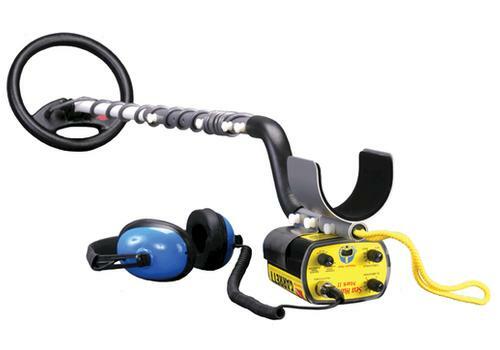 The Garrett Sea Hunter Mark II metal detector is an underwater metal detector that works perfectly in water up to two hundred feet deep. Let’s take a close look at the feature of this device. There are four handy stem mounts which allow for the overall length to adjust to between 28 and 52 inches. The long stem will come in quite useful when you are carrying the detector on your waist or shoulder and this will be the stem that you will use the most while under water. There is a short stem which is most used when you are detecting on land. There are controls that allow the user to adjust the threshold, power levels and also to fine tune the device so that it does not pick up on items that you want to skip over such as pull tabs and other useless times that would otherwise cause a signal. It will, however, still alert you to rings and other possible small treasures while in this mode. Do be sure to adjust this as needed, since this device is capable of picking up a tiny ½ of an inch fishing hook. 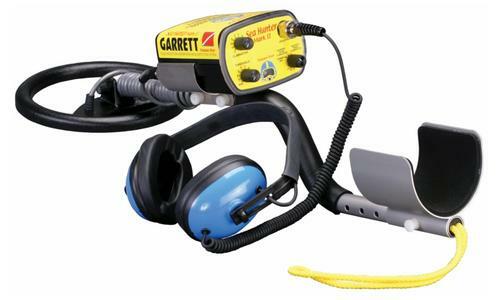 There is an audio jack in which you connect the headphones and the Garrett Sea Hunter Mark II metal detector, as you may have guessed, does come with waterproof headphones. 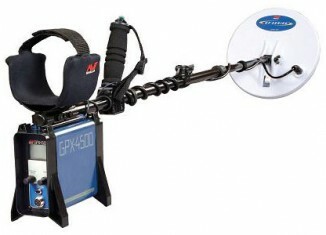 The Garrett Sea Hunter Mark II metal detector is surprisingly small and light. It only weighs six pounds. While this won’t matter to you very much while you are treasure hunting under water, this will make things easy for you any time that you use this device on land. There are a few extra “goodies” that come with this device including straps that will allow you to easily attach the Garrett Sea Hunter Mark II metal detector to a diving suit, an instructional video, cleaning wipes and even a Garrett brand baseball hat. The most important element to know when you are deciding if the Garrett Sea Hunter Mark II metal detector is the detector for you is to know just how deep you will be diving. One must keep in mind that this detector was designed for waters only down to 200 feet deep.